The pro-Armenian movement in Europe at the end of the nineteenth and beginning of the twentieth century had French politician Jean Jaures as one of its most remarkable figures. Jaures, born in Castres (Tarn) on September 3, 1859, was the son of an unsuccessful businessman and farmer. He was a brilliant student, and after being graduated from the famous Lycée Louis-le-Grand of Paris, he was admitted first at the École normale supérieure in 1878. He obtained a degree (agrégation) in philosophy (1881) and taught for two years at a lyceum, before lecturing at the University of Toulouse. In 1885 he was elected deputy from Tarn on the ticket of the Republican Party. In the late 1880s he veered towards socialism. After losing in the elections of 1889, he returned to Toulouse, where he was actively involved in municipal affairs and helped found the medical school of the University. He also prepared two theses for his doctorate in philosophy; one was about the first expressions of German socialism in the writings of important theologians and philosophers Martin Luther, Immanuel Kant, Johann Fichte, and Georg Hegel. He became a highly influential historian of the French Revolution after the publication of his book Histoire socialiste (1901). His articles and speeches were collected in several other books. 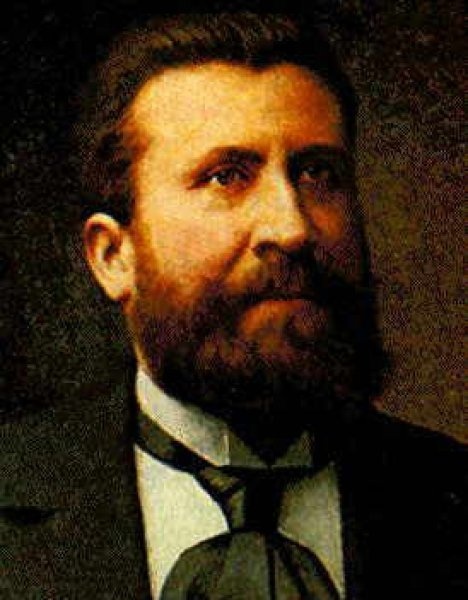 In 1893 Jaures returned to the National Assembly as socialist deputy for Tarn and retained his seat until his death, except for the period 1898-1902. 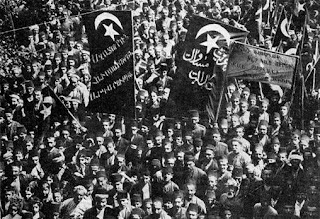 After the summer of 1894, when the Hamidian massacres started, the young socialist deputy would become a central name in the condemnation of Ottoman policies. He first published an article in January 1895 in the periodical La Petite République. His intervention in the parliamentary debate on the Armenian massacres, on November 3, 1896, however, left a deep mark on public awareness. Jaures spoke after the interventions of conservative deputies. He took everyone by surprise, because nobody expected him to enter the fray of foreign policy. His vibrant and implacable speech had considerable impact on public opinion. He directly charged the French government for its four year-long obsequious policy towards the Ottoman Empire. As historian Raymond Kevorkian has noted, his 90 minute-long speech marked the actual beginning of the pro-Armenian movement in France. The Parisian newspapers, which were generously subsidized by Ottoman agents, changed their pro-Turkish tune afterwards. Jaures solemn discourse established that justice had no boundaries and that democratic moral was bound to fight against tyranny. He would intervene on behalf of Armenians several other times. He would show the same civic courage in his defense of Alfred Dreyfus during the infamous Dreyfus Affair. After Jaures returned to the National Assembly in 1902, three socialist parties merged in 1902 to form the social-democratic French Socialist Party, which would become the United Socialist Party in 1905 with the incorporation of the revolutionary socialists. In 1904 he founded the daily L’Humanité, which he edited until his death (it would become the organ of the French Communist Party after 1920). He also became a member of the editorial board of Pro Armenia, a French periodical published to defend the Armenian cause (1900-1908, 1912-1914). Jaures hailed the Ottoman Revolution, believing that the coming to power of the Young Turks would regenerate the empire. After the massacres of Adana, however, he maintained his trust that the revolutionary regime would end the Armenian persecution. He placed the solidarity of progressive movements above the imperatives of humanity and protection of minorities, historian Vincent Duclert has written. As a result, he opposed any military intervention in Cilicia during the parliamentary debate of May 1909 and asked for diplomatic action in Constantinople. Jaures, as a committed antimilitarist, tried to use diplomatic means to prevent a general European war. On July 28, 1914, exactly a month after the assassination of Archduke Franz Ferdinand, heir to the Austrian throne, and his wife in Sarajevo by a Serbian nationalist, Austria declared the war on Serbia and mobilized its troops. This obliged Russia and France to mobilize, according to the secret treaty of 1892. World War I was on its way. Jaures addressed the Chamber of Deputies in an impassioned speech, pleading for social justice and peace. Shortly thereafter, on the night of July 31, 1914, while dining in a restaurant he was assassinated by French nationalist Raoul Villain. His remains were transferred to the Paris Panthéon in November 1924. 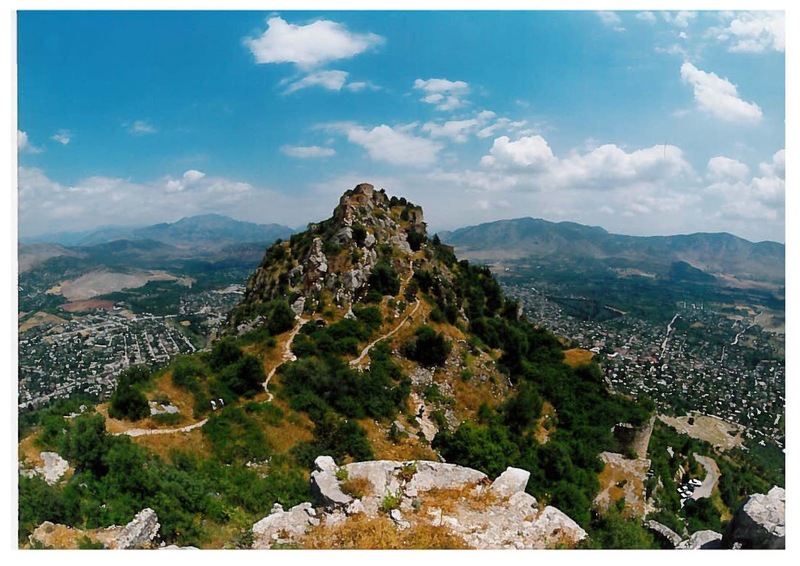 The Armenian state of Cilicia (1080-1375), which had become a kingdom in 1198, started a process of decline in the fourteenth century. The end of the Crusades in 1270 and the fall of the last Crusader bulwark in 1291 were combined with the rise of the Mamluks of Egypt and the Turkmens in Konia, as well as the end of the alliance with the Mongol Empire. As a result, the kingdom looked to the West for help, which was fueled by the pro-Catholic trends of part of the nobility and the ecclesiastics. The fifth council of Sis (1307) examined the request of Pope Clement V (1305-1314), the beginner of the period of the Avignon Papacy (1307-1377). The Pope demanded that the Armenians adopted Catholicism in exchange for military help from Europe. The pressure exerted by King Levon IV (1301-1307), his father Hetum (the former King Hetum II), and the recently elected Catholicos Gosdantin III (1307-1322) forced the members of the council to adopt the doctrine and the ritual of the Catholic Church, as well as the sovereignty of the Pope. The new rules established, in practice, the union of the Armenian Church and the Catholic Church. The strongly negative reaction of the public and the ecclesiastics from Greater Armenia led to the councils of Adana (1308) and the sixth council of Sis (1309), which declared null and void the resolutions of 1307. However, the new King Oshin I (1308-1320) started persecutions against the participants in those councils, and many of them were jailed or exiled. Some 500 ecclesiastics were exiled to Cyprus, where most of them died. In 1316 Pope John XXII asked Oshin I to restore the resolution of 1307. To that end, the king and the Catholicos called upon the second council of Adana on July 18, 1316, with the participation of 18 bishops, 7 archimandrites, and 10 princes, mostly from the dioceses of Cilicia. The participants confirmed the resolution of 1307, which was again refused by the people and the ecclesiastics of Greater Armenia. The court tried to impose the measures by force and met with an obstinate rejection, particularly in Armenia, and its attempts to do the same in Armenia only deepened the internal division and weakened the resistance against the external enemies. The help from the West never came, and the eighth council of Sis (1361) declared definitively null and void the resolutions of 1307 and 1316. It was too late. The kingdom of Cilicia, reduced practically to Sis and its surroundings, would fall to the Mamluks in 1375. 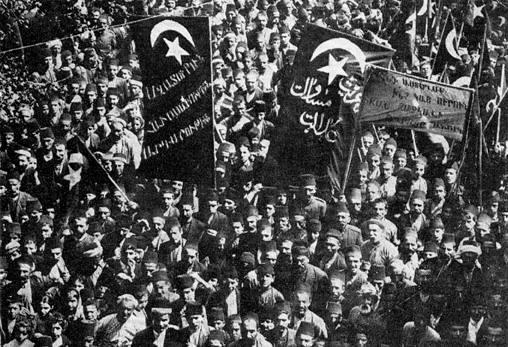 The last period of Armenian independence before the twentieth came to an end. The name of Diana Apcar is mostly known in her role as diplomatic representative of the first Republic of Armenia in Japan. However, it is noteworthy that she was probably the first woman to have been appointed to any diplomatic post ever. Diana Agabeg (Aghabegian) was born on October 12, 1859 in Rangoon, Burma (today Yangon, Myanmar), which was then a British colony. The roots of her paternal family were in the Armenian community of New Julfa, then a suburb of Ispahan, in Persia (Iran). Her mother came from the Avetum family in Shiraz (Persia). Diana (she spelled her name Դիանա, according to Eastern Armenian pronunciation) was the youngest of seven children in the family, and was raised in Calcutta (today Kolkata), where she attended a local convent school. She became fluent in English, Armenian, and Hindi, and she would later learn Japanese and Chinese. In 1890 she married Apcar Michael Apcar, who also came from a well-known family from New Julfa, with a successful network of commercial activities all around Southeast Asia. The newlywed couple married in Hong-Kong and moved to Japan in 1891 to expand the family business. They settled in Kobe, where Michael worked in the silk trade and the import-export business from and to India. He founded a corporation and opened the Great Eastern Hotel. They eventually had five children, of which only three survived: Rose (1891), Michael Jr. (1892), and Ruth (1896). After the sudden death of her husband in 1906, Diana Apcar continued the family business until her son reached adult age. They moved to Yokohama, one of the busiest ports of Japan, situated at 30 kilometers from Tokyo. She opened a great store, which did business in China, the United States, and Europe. By then, Apcar had already published two books, Susan (1892) and Home Stories of the War (1905); the latter was about the Russian-Japanese War of 1904-1905. After her son took over the family business in 1910, she had more time to focus on her literary and then humanitarian and diplomatic career. The Armenian plight in the Ottoman Empire became her central topic. She also wrote many articles on international relations and the impact of imperialism on world affairs and global peace. She started contributing to many Japanese journals and newspapers, such as The Japan Advertiser, The Far East, The Japan Gazette, and also the U.S.-based Armenia (later to be known as New Armenia). Between 1910 and 1918 she published seven more books, some of them about Armenia and Armenians: The Truth about the Armenian Massacres, Betrayed Armenia, In His Name... (1911), The Peace Problem (1912), Peace and No Peace (1912), The Great Evil (1914), and On the Cross of Europe’s Imperialism: Armenia Crucified (1918). She also wrote for European newspapers on Far Eastern affairs. During World War I and in the postwar era, Diana Apcar was particularly involved with the resettlement of Armenian refugees, either former war prisoners or genocide survivors, who braved the long and perilous journey across Siberia and were transited through Japan. Although considered stateless for diplomatic purposes, her efforts through contacts with the Japanese authorities made them possible to obtain the necessary documents to continue their journey, mostly to the United States. Her indefatigable work continued after the independence of Armenia. Prime Minister and Minister of Foreign Affairs Hamo Ohanjanian acknowledged that “nobody has worked in the Far East like you to defend the interests of our newly born homeland and to ease the difficult situation of our compatriots” in his letter of July 22, 1920, which designated Diana Apcar with the rank of Honorary Consul to the Empire of Japan. With her designation, Japan recognized de facto the independence of Armenia. Her position was, indeed, terminated, after Armenia became a Soviet republic. Interestingly, a Soviet revolutionary, Alexandra Kollontai, would become the next woman to hold a position, after her designation as ambassador of the Soviet Union to Norway in 1923. Nevertheless, Apcar did not stop working for Armenian causes and writing. Catholicos of All Armenians Gevorg V (1911-1930) recognized her dedication with an encyclical in 1926. Diana Apcar passed away at the age of seventy-seven, on July 8, 1937, in Yokohama. She was buried in the cemetery for foreigners, beside her husband. The Tokyo-based Society of Armenian-Japanese Friendship cares for her grave-site. Her daughters had moved to the United States in the 1920s, and her son did the same in 1945. Lucille Apcar, Diana Apcar’s granddaughter, published her unpublished book of short stories, From the Book of One Thousand Tales: Stories of Armenia and Its People, in 2004, based on accounts from Armenian refugees in Japan.